I love the goals, especially the social media time limit! I had to do the same to myself last year and it was great! Does my heart good to see all this leopard and pink! Love the social media limit, me too!! This is such a fun combination, especially for Valentine's Day! This would be perfect for a romantic date night. I can relate. I write things down and schedule like a boss at work but in my personal life not so much! Ha! Like accountability to myself doesn't matter! I need to find balance between social media time and living real life - 30 minutes sounds good. My love for reading fiction is strong and I was thinking just the other day that I really need to start reading at least one non-fiction book a month. Developing an action plan is in the cards for me this week because next week I start a new job where I'll be working from home so change is on the horizon! What a fabulous color combination!! Leopard and pink makes me so happy! I'm working on my goals this week too. Limiting social media is a tough one, but I go down the rabbit hole and suddenly it's been an hour. 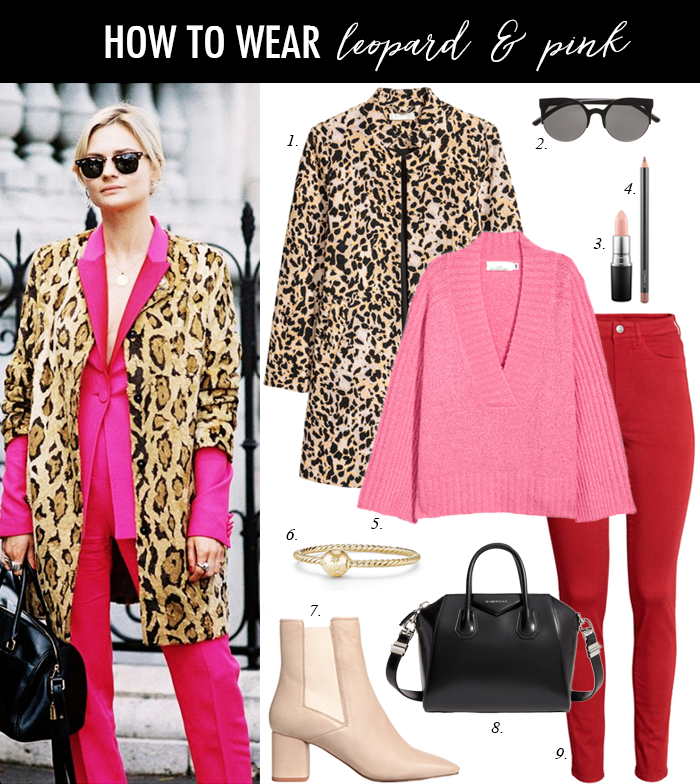 Leopard print and pink are goes together. I think I can put something from my closet using your prompt. Thanks, Lisa!